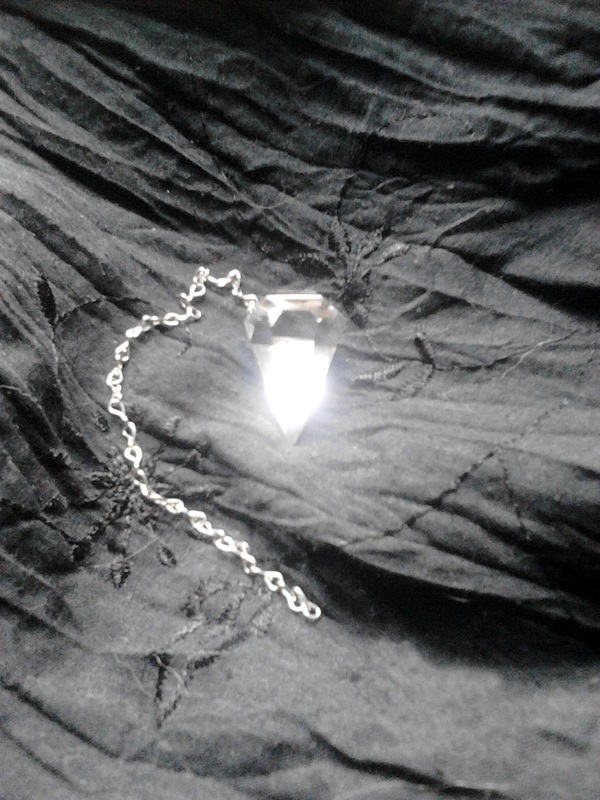 Pendulum dowsing has been used for millennia, mostly for locating water, metals, oil, explosives, lost objects and of course, diseases (radiesthesia). The pendulum is similar to a radio antenna picking up the differences in electromagnetic fields, although it is unclear at this point how it works (and for some, if it works). 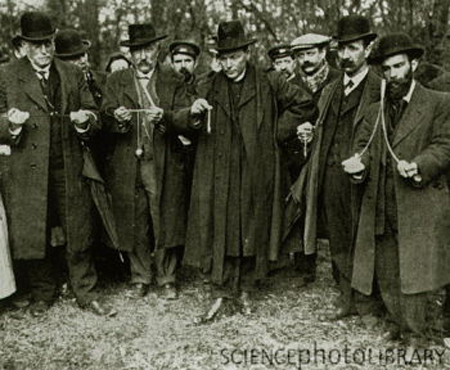 Famous minds such as Einstein or Leonardo da Vinci took a keen interest in dowsing, as is to be expected, and tried to solve the mystery of the “how” part. To me, it seems that the answer is probably pretty simple, but I assume it requires a certain quantification instrument we haven’t invented yet. Personally, at this point, I believe the pendulum, at least when it’s used for divination, the way I use it, reacts to changes in the energetic field of the body (which has an electromagnetic component) corresponding to what at this point is called “altered states of consciousness” (clearly for lack of a better word so far) and one such state would be psychic channeling. In order for it to work in answering questions through divination, you need to determine the code in which the pendulum answers to you – to calibrate it. It’s a simple process in which you place yourself in a good position to use the pendulum (peaceful place/state of mind, comfortable position, no air currents, no distractions, meditation focus) and you ask it to show you a Yes, and then a No. They should come up differently, obviously. You can ask a yes/no question directly, such as: Is my name X? Am I male? and any other simple yes/no question you know the answer for. With practice and if you notice it works, you then can begin divination channeling for more complex questions. Not everyone can read a pendulum, just like not everyone can use divination, but especially this divination method. Or let’s just say, yes, everyone can, potentially, but for certain personality structures it is more difficult to access the objective state of mind necessary for it. If we have very strong opinions, prejudices or values, or a propensity for seeing things in a better/worse light or through rose-colored glasses or the opposite, and generally if our personality has a higher degree of projecting itself onto the world or the others, it becomes more challenging to access our powers as diviners. In other words, the more subjective the personality, the more difficult it is to use a pendulum for divination, because there will be an unconscious tendency to move the pendulum according to one’s will or opinion. 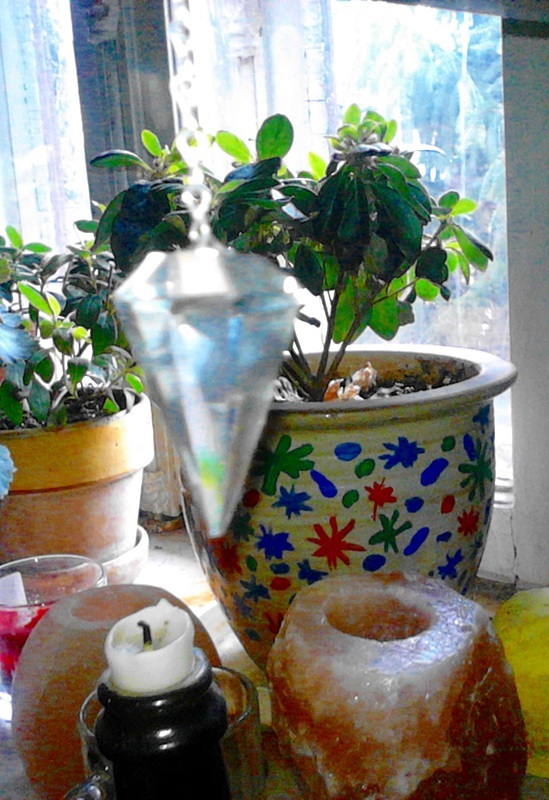 The pendulum moving however, does reflect the answer as it comes into someone’s mind, through the psychic channels, because it is most likely that it’s the mind that alters the energetic fields creating the movement of the pendulum. But in order for this to work, for psychic channeling to occur, one needs to be “empty” of personal opinions and expectations at first, with any divination method. We do inject our opinions as well, at some point, after the message is being received, for usually there is a concordance between the development of the psychic sense and the ability to guide, to give advice, and in the process we use everything we know and have, including life experience and opinions. But the initial act of receiving the proper answer requires the ability of the personality to become a “vessel”, a simple energetic and informational channel through which a message is being conveyed. This is, of course, a challenge for any psychic, but one of the requirements for being a psychic is to have a higher ability to become such a vessel: the neutral, objective part of the brain is “open”. But in the end, everyone can learn to use a pendulum and this would also be a good exercise to practice detachment and objectivity. However, it still is not recommended to use the pendulum to read for ourselves, until we reach this detachment, a Zen state about the outcome.